The Context of White Supremacy welcomes Asadah Kirkland. A black mother with more than two decades of experience working with children, Ms. Kirkland’s unconventional classroom settings allowed for the freedom to teach her own curricula and deliver her own messages that catered to the uplifting of her students. We’ll discuss her 2009 publication, Beating Black Kids. 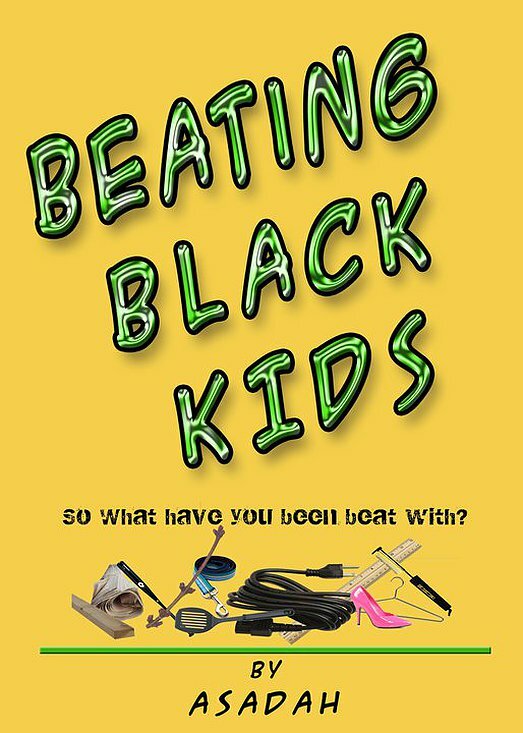 She examines why large numbers of black people believe in and resort to physically hitting black children as a primary form of discipline. She connects this practice to our traumatic experience with White Supremacy and offers a wealth of alternative concepts and child-rearing techniques to rear healthy, creative, well-behaved black children. She was called on to share her views on the recent controversy surrounding football player Adrian Peterson whipping his young son. Ms. Kirkland was highly recommended by Ms. Lorne Cress Love – Dr. Frances Cress Welsing’s sister. Since Mr. Kirkland is a Chicago, Illinois native, we’ll see if she caught Spike Lee’s latest release, Chi-Raq.